Boker Tree Brand Green Micarta Straight Razor Knife | BUDK.com - Knives & Swords At The Lowest Prices! 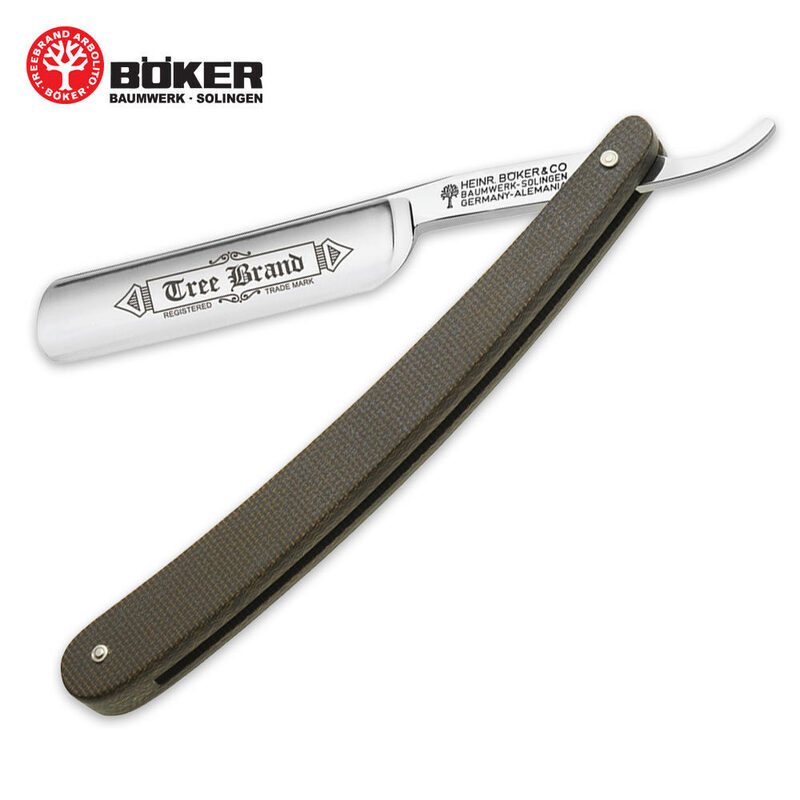 This Tree Brand straight razor from Boker features quality handle scales constructed of green canvas Micarta for a rugged, durable and dependable razor. The blade is made of Solingen razor steel with a traditional hollow grind for excellent edge retention. Each knife is manufactured by hand in Solingen, Germany. Includes a Certificate of Authenticity.